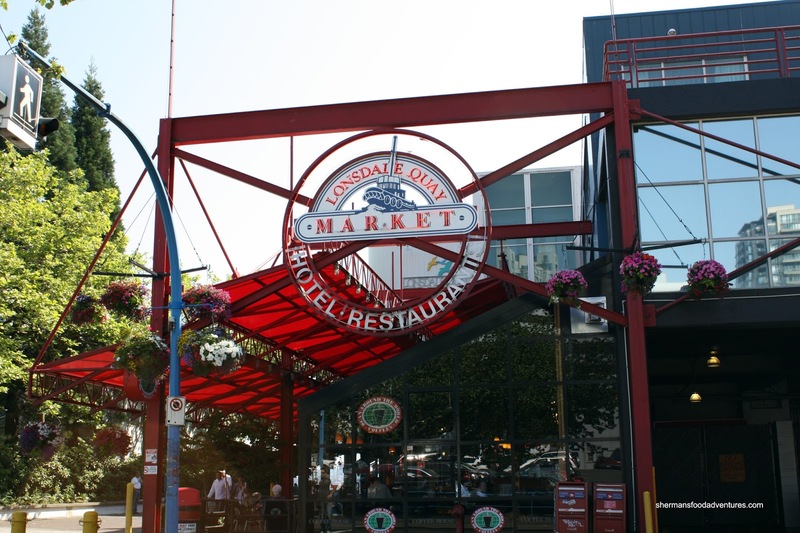 The good ol' Lonsdale Quay (pronounced "key" not "kway") has been a place we have visited on many occasions. It's got a killer view of Downtown Vancouver, even when it is raining (which is like half of the year at least). 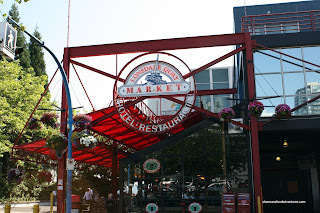 There are markets that sell produce and seafood and of course, places to eat. I'm pretty familiar with the food court, but there is so much more (including restaurants and now a brewery). 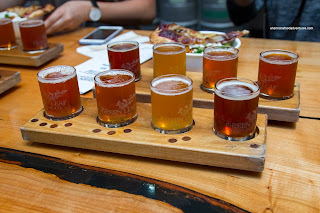 I was contact recently to do a food tour of sorts to savour the fall flavours of the market. Our first stop brought us to an ol' favourite of mine - The Soup Meister. Now, let me get this out of the way first... 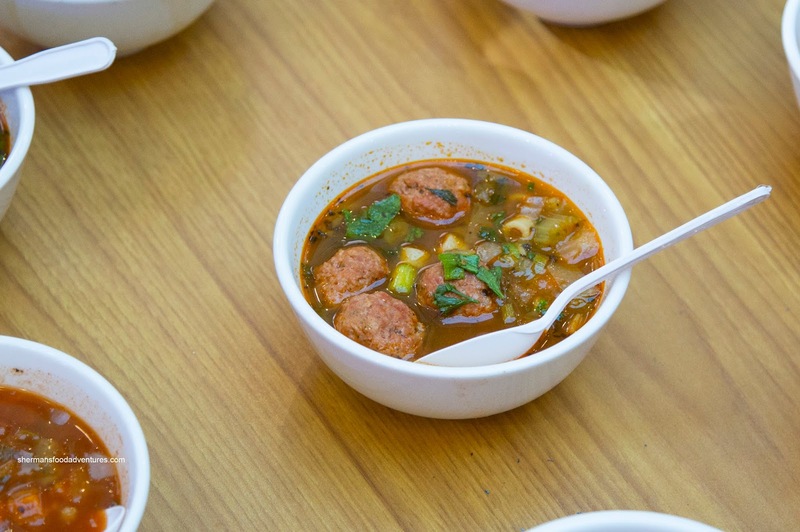 I do not believe this is the best soup I've ever had, but it is the best combination of quality, care, price and portion that I've come across in the GVRD. This time around, I chose the Italian Wedding Soup and unlike many of the versions out there, the meatballs were large and exhibited a natural meatiness while being lean. The soup itself was not overly salty and the veggies were not cooked to a mush. Next up was the Green Leaf Brewing Company where we were served a flight consisting of Amber Lager, Lloyd's Lger, Pie Hole Pale Ale and Animal Farm IPA. For me personally, I enjoyed the first 2 lagers because they were clean and went down easy. These paired well with the sweet pizza and equally sweet salad. The other 2 were more hoppy and would've went better with something robust like fried chicken wings or a burger. 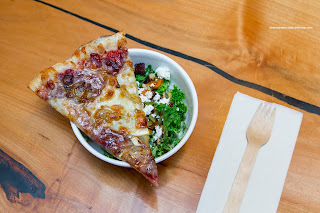 At the same time, we were served a slice of Turkey, Cranberry & Brie Pizza and Kale & Roasted Yam Salad from Bowen Island Pizza. 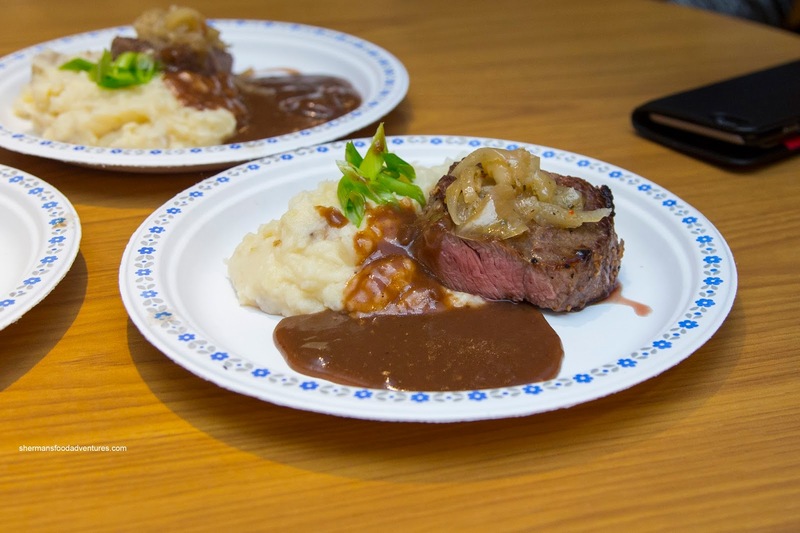 I liked the crust as it was semi-thin, chewy and well-seasoned while not dense. The little pops of cranberry were welcomed. I found the salad a bit undressed, but that was a whole lot better than the reverse. I thought it was a pretty classic kale salad though. We headed over to Sharky's Chophouse next for a piece of sirloin steak and mash potatoes. Pretty solid medium-rare Sirloin Steak for myself being tender and well-rested. The mash was light and airy while nicely seasoned. 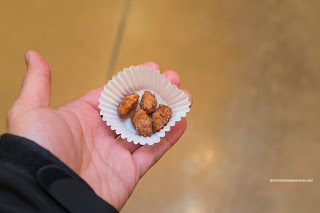 Strolling back towards the main entrance, we watched a demo at Olde World Confections on making Candied Almonds. We were served a batch made earlier (and allowed to cool) and these were crunchy from the candied exterior and the actual nut texture. Smoky and sweet, these were addictive. 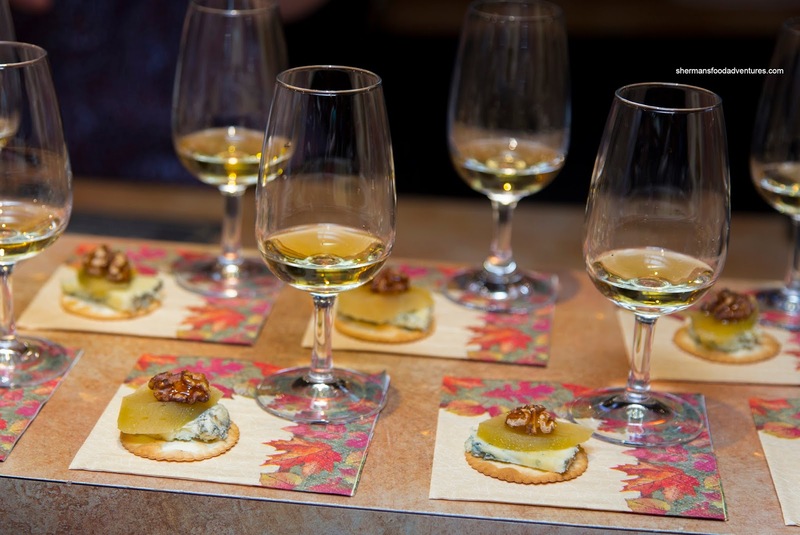 After that, we ended off with a glass of Reserve Riesling at Artisan Wine paired with a pear, blue cheese, and walnut cracker. Smooth and sweet, the riesling went well with the mild pear and sharpness of the blue cheese. This was the proverbial fitting end to a nice overview of the available eats at the Quay.